The arms race between DRM makers and pirates continues at its usual breakneck speed, and the newest version of Denuvo appears to be the latest casualty. The prolific Italian crack group CPY have broken open the protection of Denuvo 5.0, the tech set to protect some significant recent and upcoming releases. Please don’t pirate the best games on PC. Or any others, for that matter. 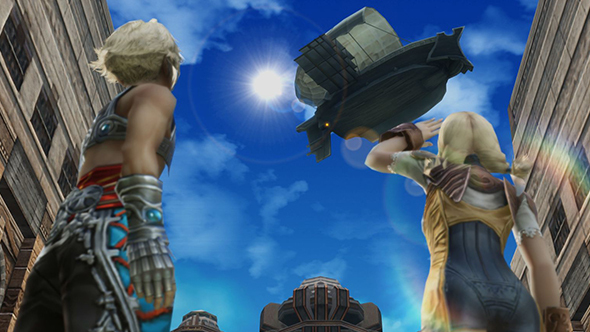 Denuvo 5.0 was used for the PC version of Final Fantasy XII: The Zodiac Age, which – according to piracy scene tracker Crackwatch – was recently cracked 17 days after the game’s release. That’s significantly faster than Denuvo 4.9, used in Assassin’s Creed: Origins. That game remained protected for over three months, unusual in the always accelerating pace of pirates, but ACO did feature an extra layer of DRM protection. Dragon Ball FighterZ also uses Denuvo 5.0, but has not yet been cracked – though it’s expected that will change soon. This version of the DRM tech is also set for use in Far Cry 5, though that may change if it becomes clear that 5.0 is done for. Early versions of Denuvo had been quite successful in keeping games protected for months at a time, which is pretty much its job: preserving the games against piracy during the critical launch period. Whether that’s an effective way to increase sales remains a topic of debate, as does whether Denuvo causes a significant hit to performance. Between that and the internet’s insatiable desire to play games for free, don’t expect crackers to give up any time soon.